Hey Friends! ‘Tis the season of giving and I wanted to share a way for you to give back… for free! What if your favorite charity received a donation when you shopped online.. without your actually spending any additional money? Well, let me tell you about Amazon Smile. I discovered this little bonus feature about a year ago. When you shop at Amazon, you simply log in through the smile link, vs. the traditional Amazon URL. It really is that easy. 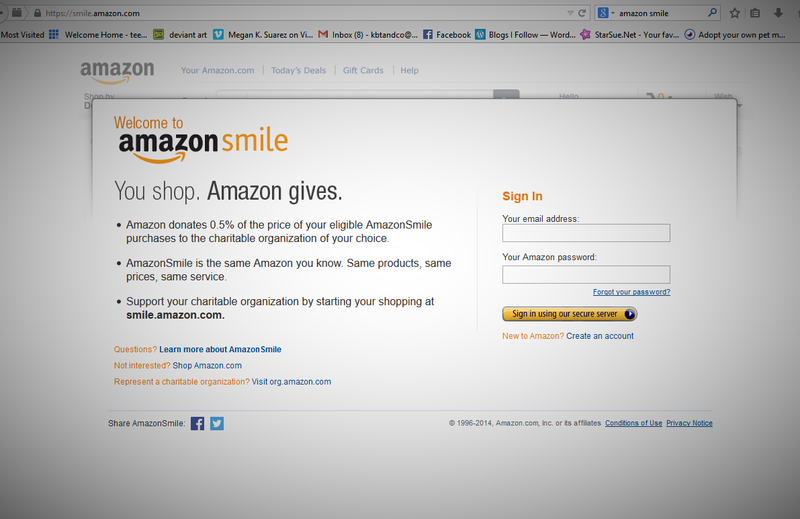 Same Amazon, same shopping… they give, your favorite charity gets! The great news is that so long as your charity is a registered non-profit, and ready to receive donations, there is a great chance that it is on the Smile list! 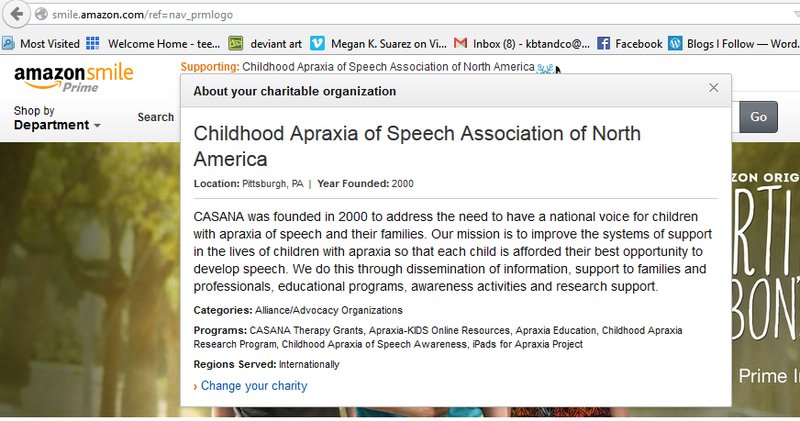 CASANA is a fantastic organization serving the families and therapists who have the rare neurologic speech disorder, childhood apraxia of speech, as a part of their lives. It has saved my sanity more than once! Each year the organization grows… from the mom of one little (now big) guy to an organization working with researchers, educators and families each day to figure apraxia of speech out. 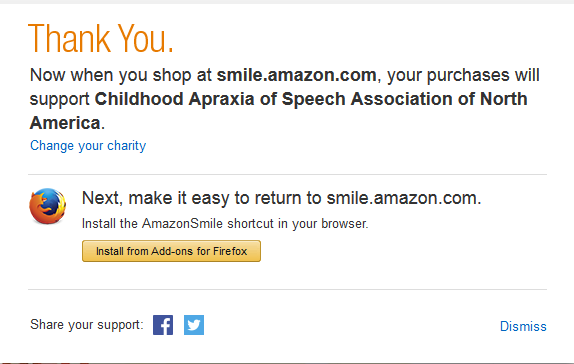 By selecting CASANA at Amazon smile, my favorite charity receives a little too! Sorry if this feels a bit salesy, but hey, its a really cool thing and a really easy way to give when you do something you were going to likely do anyway! And we all know I like easy! Hope you all are embracing the true spirit of this season and connecting with your loved ones and the very needy world around us.